Last year our US Attorney General was threatening to file criminal racketeering charges against private citizens for mockery of state science. Last week the new administration announced the repeal of the ENERGY STAR mandate, essentially shutting down the EPA’s Department of Junk Science. Elections have consequences! President Trump has officially begun the deconstruction of the ENERGY STAR program, ending one of the most corrupt federal programs in US history. Repealing the ENERGY STAR mandate represents one of the most significant government reforms in decades, and a huge boost for science, education and commerce. The EPA owns the ENERGY STAR brand, which is allegedly producing multi-billion dollar revenues in Global markets from ‘certified’ energy-efficiency. Just don’t ask to see the evidence, or the government might throw you in jail. And I mean that literally! Thankfully President Trump just took Draining The Swamp to a whole new level. The repeal of the ENERGY STAR mandate is historic, which is why mainstream media must be in a complete state of panic. The ENERGY STAR mandate served as a Pay To Play toll-booth for all government contracting and services for decades. In terms of economic opportunity for the small business community in America, this is totally off the chart. 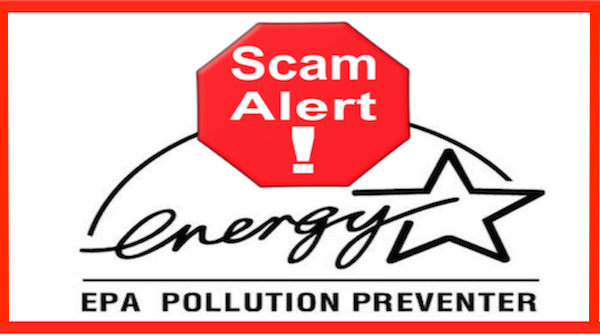 ENERGY STAR is arguably the most corrupt federal program in US history, a true National Disgrace which has inflicted more damage on America’s economy, scientific, educational and legal systems than an entire army of Bernie Madoff’s and John Beale’s. Built entirely on myth, fraudulent scientific research and bogus technical reports promoted by the media, this secretive program has been mired in scandal and controversy since day one. ENERGY STAR’s big break came rather suddenly in 2009, when EPA began boasting that their products save 25-50% more electrical energy than other identical products. Apparently EPA scientist were somehow able to infuse a ‘Social Justice’ component onto the electrons flowing in ENERGY STAR’s certified products that don’t exist in the rest of the universe. Or so it seems. No technological breakthroughs were involved in this miracle, only the reshuffling of words on paper were required to create this rare commodity. It’s entire financial value can be traced directly to a group of government bureaucracies calling themselves the Poised For Profits Partnership (P4PP). The 12 government agencies that formed P4PP conducted tens of billions of dollars worth of ‘scientific research’ on behalf of ENERGY STAR, with the bulk of all financial benefits flowing directly to the EPA’s Billionaires Club, a group identified in a 2014 Senate Report. This is freaking triple shot of goodness. First we benefit from HUGE regulatory relief, next we get to do business directly with accountable government and best of all we get Junk Science out of government and business forever. Happy Days are here again! This is so good for our economy that words escape me at the moment, but I can tell you a little about arguably the most corrupt federal program in history. This EPA brand literally invented the Junk Science industry, producing the ‘Clock Boy’ type science that turned government energy efficiency into a multi-billion dollar slush fund for the EPA’s Billionaires Club. The ENERGY STAR is virtually the ‘Goose That Lays The Golden Eggs’ for political elites at secretive non-profit groups like the Energy Foundation and Prosperity Partnership, which are controlled entirely by the political class with zero accountability to taxpayers. Its important to understand the history behind the ENERGY STAR program, because it exposes the multiple opportunities that will now be open to honest business interest. This is huge, corrupt bureaucracies and their public/private partnerships are being dissolved, opening up competition in contracting and services at every level of government in this nation. Tens of billions of our tax-dollars were funneled to the Globalist that turned China into an economic powerhouse building ENERGY STAR products which are now mandated for use by governments in the USA, Canada, Japan, Taiwan, Switzerland, Australia, New Zealand and the European Community. Only political insiders associated with EPA or UN non-profits were ever allowed to market, or have access to ENERGY STAR products and services. Now entire financial empires are about to come crashing down from the stroke of a pen. There has been virtually no news coverage on ENERGY STAR or any of those international agreements because it never involved real industry, it was always an imaginary industry. There has never been a National Standard for measuring and verifying electrical energy savings in technologies, because government bureaucrats found that estimating energy-savings pays a lot better. I found this out the hard way when I tried marketing a new type of energy-efficiency technology for large electrical motors, but was forced through a gauntlet of government bureaucrats determined to “Level The Playing Field” and “Eliminate Barriers”. Competition was not allowed, and government agencies could simply ban the use of disruptive technologies that challenged the supremacy of the ENERGY STAR brand of ‘certified’ energy-savings. Energy efficiency was the single largest and most expensive component in the Clean Power Plan and Paris Climate Agreement, but you would never know that from media coverage. The public was deliberately left in the dark to conceal the medias own involvement in this scam. How they will explain this to the Resistance should be quite entertaining, I predict great wailing and gnashing of teeth! Over $100 billion was funneled into so-called research for the ENERGY STAR brand, producing nothing but bureaucracies that are about to go the way of the Dodo Bird. Thank you President Trump! Repealing the ENERGY STAR mandate was essential to President Trump’s Buy American-Hire American economic agenda, which is about to create the greatest economic expansion in history. Americans need to stay informed on the deconstruction of this Deep-State Owned Enterprise, because you’ll want a proper analysis of all the fun facts that are about to surface. I’ve [Conor] been blogging on this government run Pay-To-Play scheme for years, publishing the truth about this scam on N4mation.org. But the posts have fought censorship by Google and Government determined to keep you in the dark on energy issues and facts that conflict with their “official” story.” As a result N4mation.org material can only found on-line through reposting by good people and a few blogs [Including here at The Lid]. Thanks to them My prayers have finally been answered.